Form 990-N—the ePostcard—can only be submitted electronically to the IRS. The IRS does not provide printouts or images of it. Instead, the IRS makes the information available through its Tax Exempt Organization Search, shown below. 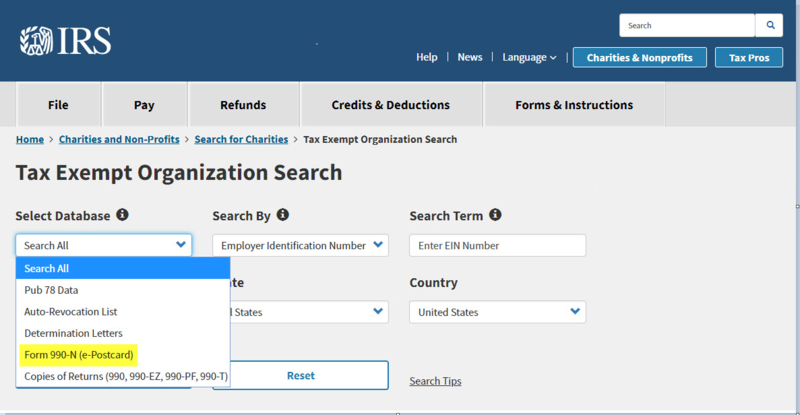 However, GuideStar incorporates Form 990-N data into the appropriate places in the filing organization’s GuideStar Nonprofit Profile.